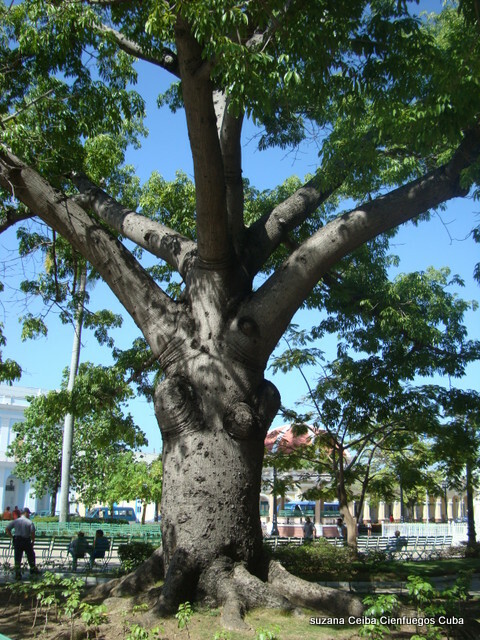 Did you know that in Cuba the “Guije” live in the Ceiba trees?? 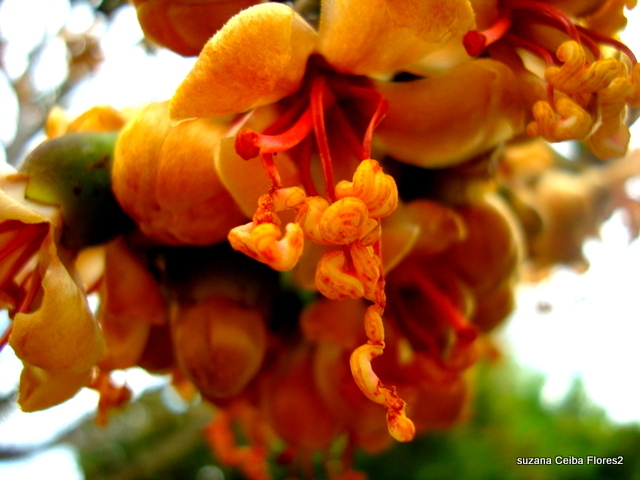 The Ceiba tree is one of the family Malvaceae of which there are 10 known species. Its appearance makes it easy to spot; thick straight trunk with spikes on it, forming buttress roots and an umbrella like canopy of leaf and flower cover. The flower which appears before the leaves, develops into seed pods which split to release large quantities of soft, fibrous Kapok, used to fill mattresses, pillows etc. These trees can grow to great heights and live many years, but the wood is only of use for dugout canoes, as it is light and buoyant. For this reason the Ceiba is often the only tree left standing when the forest has been cut down for building materials! 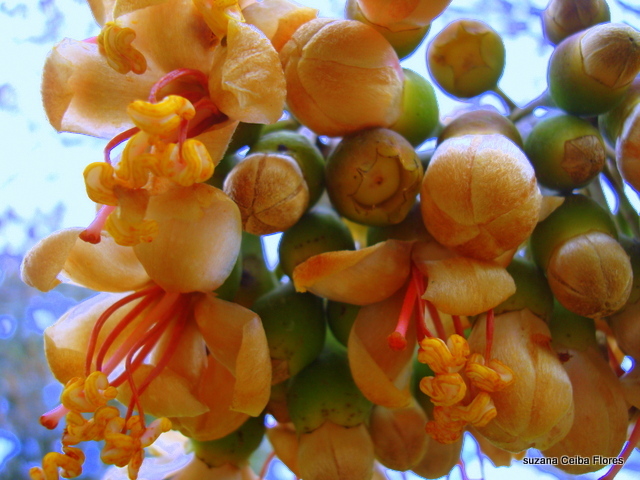 The flowers are pollinated by fruit eating bats at dusk or during the night and in Cuba the Ceiba tree is home to the Guije! 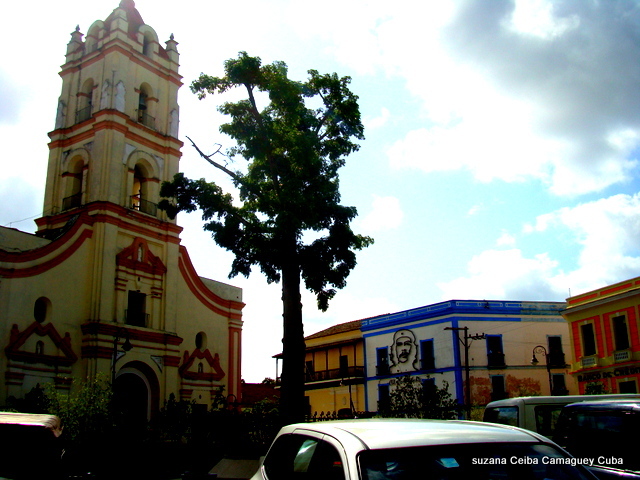 Travelling around the island you will encounter many enormous Ceiba trees in the plazas and elsewhere. Around the base of these trees offerings will be placed by devotees practicing the “Santaria” religion dominant in Cuba. Offerings of various types of food, animal blood, flowers or over ripe plantain for example, are placed on the ground around the tree trunk and in return the Ceiba or Chango or Santa Barbara will reciprocate a favour or some kind of help! The Ceiba represents energy and life, abundance and force, and the force it represents is the strength of Chango or his catholic counterpart, Santa Brabara. Chango or Sanata Barbara are represented by the colour red; thus the blood offerings! 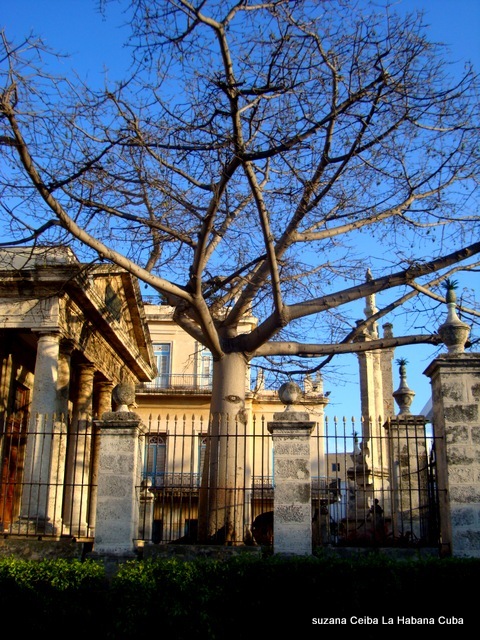 So would you want a Ceiba in your garden?? NO you would not! Forget the beautiful flowers and the vast quantities of kapok you might benefit from, the Ceiba tree is also home to the Guije, and you really don’t want to set eyes on him!!! “What type of creature is a Guije?” I hear you ask! “He is not mentioned in my Guide Book”! well… He is black as coal, and very short in height. His head is big with long straggly plaits. His eyes are enormous and shiny and bright and he only comes out at night!!! He has two arms and two legs like you and me, and he’s always close to the Ceiba tree. You might catch a glance of him in the corner of your eye looking out from beside the tree trunk, but in an instant he is gone! Now you have seen him you better take care you better beware!!! He is up to no good and he is always hungry!!! His favourite food is “Funche” which is made from sweet potato combined with flour into a type of a soup to which alcohol can be added or offered separately!!! No one wants to see the Guije and no one wants a Ceiba in their garden! If they do have one then they put plates of Funche for the Guije to keep him calm and hope he stays happily in his tree home! There is so much to enjoy in Cuba why not book onto a tour for the end of the year? If you enjoyed this news item friend us on facebook and receive links weekly direct!